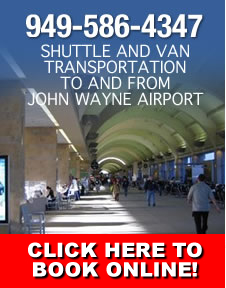 John Wayne Airport Shuttle Association is an organization of shuttle and van drivers serving the Orange County, California area. We do not represent any single driver or company. JWACC is an association of all drivers serving John Wayne Airport. When you choose John Wayne Airport Shuttle Association you are choosing all drivers insuring you will reach your destination quickly. John Wayne Airport Shuttle services Disneyland, SNA airport, the Anaheim Convention Center, and all of Orange County, California. John Wayne Shuttle Association stands alone among Orange County Airport shuttles because we represent all the drivers. We make it easy. JWACC has a reputation for on-time service and superior customer satisfaction. JWACC shuttle service is safe and affordable. We have a team of experienced and courteous drivers to pick you up from your place of residence and shuttle you to Orange County Airport. If you are traveling to or from Orange County California, John Wayne Airport Shuttle Association is ready to fill your shuttle transportation needs. 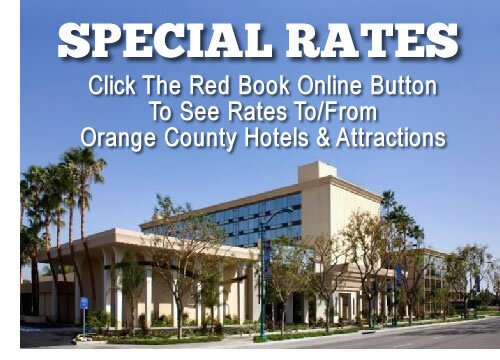 We offer special rates for popular Orange County destinations, including our Disneyland to John Wayne Airport shuttle. We also run our Orange County Airport shuttle to hotels and residences in nearby cities such as Irvine, Newport Beach, Anaheim, and Mission Viejo. We also service the Anaheim Convention Center. Unlike individual Orange County Airport shuttle companies, John Wayne Shuttle Association services John Wayne Airport exclusively. The association represents all shuttle drivers and companies working together in a friendly and cooperative manner. JWACC uses only experienced drivers who know how to get you to your destination on time. While other Orange County Airport shuttles may be busy, John Wayne Shuttle Association puts you with the most suitable driver to get you to your destination quickly. John Wayne Shuttle Association supports the Orange County area. We are experts at providing shuttle vans for conventions, meetings, gatherings or conferences, parties, etc. Our vans are comfortable, air-conditioned, and luxurious. Thousands each year call on John Wayne Shuttle Association for their Orange County Airport / SNA Airport transportation needs. They trust our reliable services and have referred us to their friends and family. Over the years, we have built a reputation of dependability for their entire Orange County Airport shuttle needs. Select the organization that represents all Orange County Airport Shuttle drivers. Our drivers are trained, dependable, and professional. If you need a John Wayne Airport shuttle then there is only one choice for superior service: John Wayne Airport Shuttle Association. Please call our customer service number or make a reservation online. For Orange County Airport shuttle service call (949)-586-4347. John Wayne Airport Shuttle Association reprensents the shuttle and van drivers operating out of John Wayne Airport in Santa Ana, California. The association serves all of Orange County California. 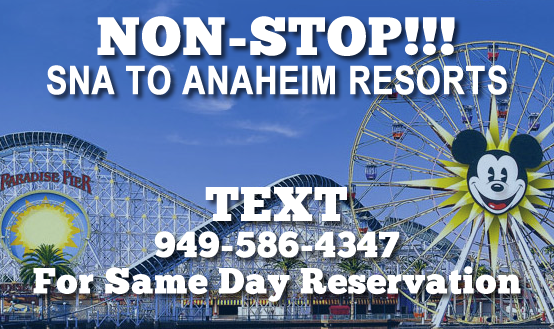 We specialize in Orange County Airport shuttle service to and from Disneyland and the Anaheim Convention Center.